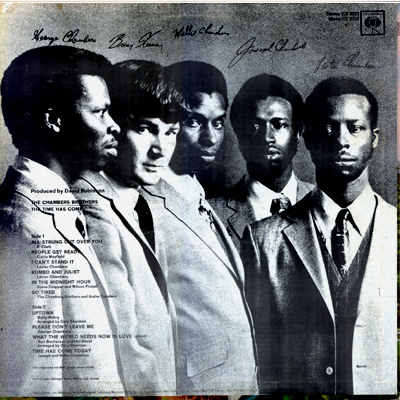 Notes: This third release by the brothers had a wide range of material and influence. 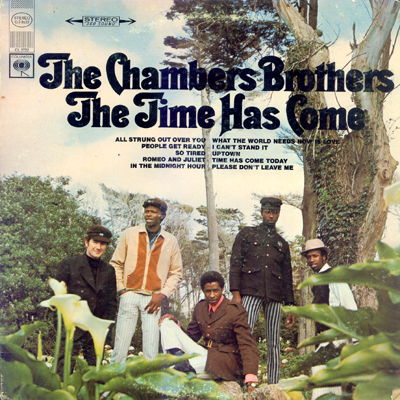 The standout hit "Time Has come" has gone on to become an anthem of the times as well as appearing in commercials etc. The band was crossing boundaries; the record was produced by David Rubinson fresh off of his work with Moby Grape. The band would range from R&B to touching on the current psychedelic wave that was cresting. The record was given much FM airplay and attention. The cover photos show the band on a day trip, rather nattily attired and a bit more somber on the reverse. A classic record.